In this paper, the global adaptive neural control with finite-time (FT) convergence learning performance for a general class of nonlinear robot manipulators has been investigated. The scheme proposed in this paper offers a subtle blend of neural controller with robust controller, which palliates the limitation of neural approximation region to ensure globally uniformly ultimately bounded (GUUB) stability by integrating a switching mechanism. Morever, the proposed scheme guarantees the estimated neural weights converging to optimal values in finite time by embedding an adaptive learning algorithm driven by the estimated weights error. The optimal weights obtained through the learning process of the neural networks (NNs) will be reused next time for repeated tasks, and can thus reduce computational load, improve transient performance and enhance robustness. The simulation studies have been carried out to demonstrate the superior performance of the controller in comparison to the conventional methods. Recommended by Associate Editor Choon Ki Ahn under the direction of Editor Euntai Kim. This work was partially supported by National Nature Science Foundation (NSFC) under Grant 61473120, 61622308, 61573174, Guangdong Provincial Natural Science Foundation 2014A030313266 and International Science and Technology Collaboration Grant 2015A050502017, Science and Technology Planning Project of Guangzhou 201607010006, State Key Laboratory of Robotics and System (HIT) Grant SKLRS-2017-KF-13, the Fundamental Research Funds for the Central Universities, and Fundamental Research Funds of Shenzhen Science and Technology Project under Grant JCYJ20160229172341417. Chenguang Yang received the B.Eng. degree in measurement and control from Northwestern Polytechnical University, Xi’an, China, in 2005, and the Ph.D. degree in control engineering from the National University of Singapore, Singapore, in 2010. He received postdoctoral training at Imperial College London, UK. He is a senior lecturer with Zienkiewicz Centre for Computational Engineering, Swansea University, UK. He is also with South China Univeristy of Technology, China. His research interests lie in robotics, automation and computational intelligence. Tao Teng received the B.Eng. degree in automation from the South China University of Technology, Guangzhou, China, in 2016, and is currently pursuing the M.S. degree in the South China University of Technology, Guangzhou, China. His research interests include human-robot interaction, robotics and intelligent control. Bin Xu received the B.S. degree in measurement and control from Northwestern Polytechnical University, China, 2006 and the Ph.D. degree in Computer Science from Tsinghua University, China, 2012. He visited ETH Zurich from Mar 2010 to Mar 2011 and from Feb 2012 to Jan 2013 he was Research Fellow with Nanyang Technological University. He is currently professor with School of Automation, Northwestern Polytechnical University. His research interests include intelligent control and adaptive control with application to flight dynamics. Zhijun Li received the Ph.D. degree in mechatronics, Shanghai Jiao Tong University, P. R. China, in 2002. From 2003 to 2005, he was a postdoctoral fellow in Department of Mechanical Engineering and Intelligent systems, The University of Electro-Communications, Tokyo, Japan. From 2005 to 2006, he was a research fellow in the Department of Electrical and Computer Engineering, National University of Singapore, and Nanyang Technological University, Singapore. From 2007-2011, he was an Associate Professor in the Department of Automation, Shanghai Jiao Tong University, P. R. China. In 2008, he was a visiting scholar in Microsoft Research Asia, Beijing. Since 2012, he is a Professor in College of Automation Science and Engineering, South China university of Technology, Guangzhou, China. In 2015, he is a visiting professor in Faculty Science and Technology, the University of Macau, Macau, China, and Department of Advanced Robotics, Italian Institute of Technology’ Genoa Italy. From 2016, he is the Chair of Technical Committee on Biomechatronics and Biorobotics Systems (B2S), IEEE Systems, Man and Cybernetics Society. He is serving as an Editor-at-large of Journal of Intelligent & Robotic Systems, Associate Editors of IEEE Transactions on Neural Networks and Learning Systems and IEEE Transactions on Systems, Man and Cybernetics: Systems, and IEEE Transactions on Automation Science and Engineering. He has been the General Chair of 2016 IEEE Conference on Advanced Robotics and Mechatronics, Macau, China. Dr. Li’s current research interests include service robotics, tele-operation systems, nonlinear control, neural network optimization, etc. Jing Na received the B.S. and Ph.D. degrees from the School of Automation, Beijing Institute of Technology, Beijing, China, in 2004 and 2010, respectively. Since 2010, he has been with the Faculty of Mechanical and Electrical Engineering, Kunming University of Science and Technology, Kunming, China, where he was promoted to be a Professor in 2013. He is currently a Marie Curie Intra-European Fellow, hosted at the Department of Mechanical Engineering, University of Bristol, UK. From 2011 to 2013, he was a Postdoctoral Fellow with the ITER Organization, Cadarache, France. He was a Visiting Student in the Universitat Politecnica de Catalunya (UPC), Spain, in 2008 and a joint-training PhD student in the University of Bristol, UK in 2009. His current research interests include intelligent control, adaptive parameter estimation, adaptive optimal control, neural networks and nonlinear control with particular applications to robotics, servom mechanisms, automotive engines, powertain and vehicle suspension systems. Chun-Yi Su received the Ph.D. degree in control engineering from the South China University of Technology, Guangzhou, China, in 1990. He joined Concordia University, Montreal, QC, Canada, in 1998, after a seven-year stint with the University of Victoria, Victoria, BC, Canada. He is currently with the College of Automation Science and Engineering, South China University of Technology, on leave from Concordia University. His current research interests include the application of automatic control theory to mechanical systems. He is particularly interested in control of systems involving hysteresis nonlinearities. He has authored or co-authored over 300 publications in journals, book chapters, and conference proceedings. 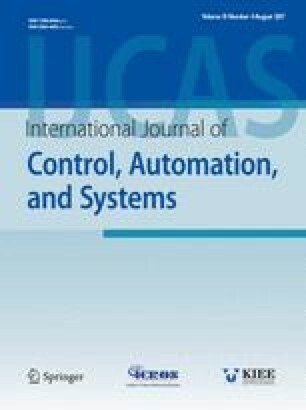 Dr. Su has served as an Associate Editor of the IEEE TRANSACTIONS ON AUTOMATIC CONTROL, the IEEE TRANSACTIONS ON CONTROL SYSTEMS TECHNOLOGY, and the Journal of Control Theory and Applications. He has been on the Editorial Board of 18 journals, including the IFAC Journal of Control Engineering Practice and Mechatronics.